The nearby sea and the fertile fields on the sunny hillsides of Amakusa provide a harvest of splendid food products. 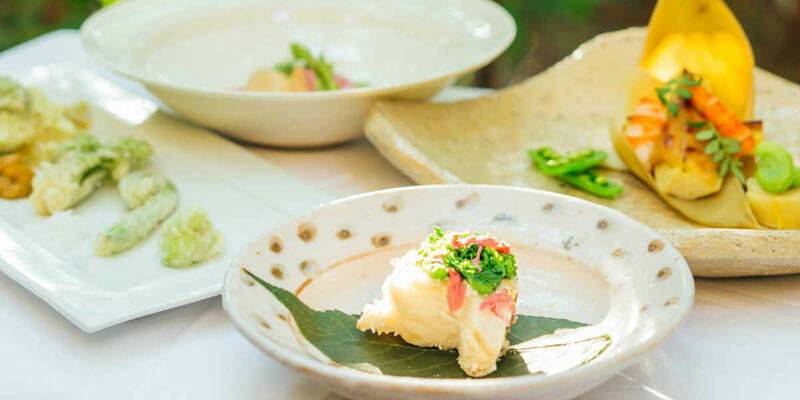 At Gosoku-no-Kutsu, we serve beautiful meals made from natural, locally produced ingredients. Our chef will proudly serve your daily meals containing only the best ingredients of the day. what and where to eat while traveling in a foreign land. 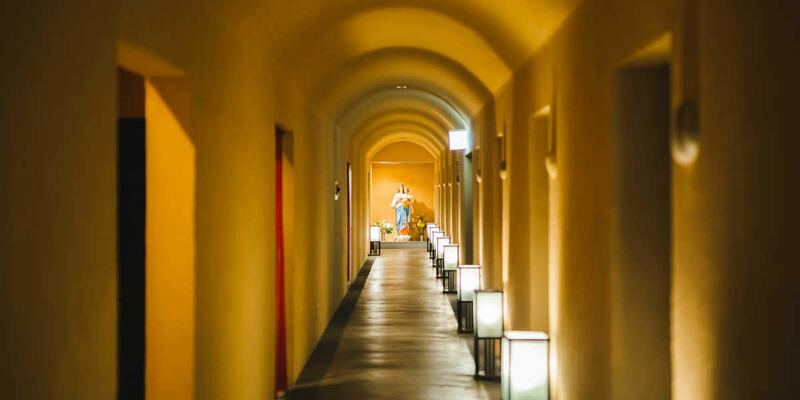 At Gosoku-no-Kutsu, dinner and breakfast are included in your accommodation fee. Meals are one of the highlights of traveling. Many traveling visitors would naturally prefer to eat locally grown food. At Gosoku-no-Kutsu, we serve excellent dishes unique to Amakusa. 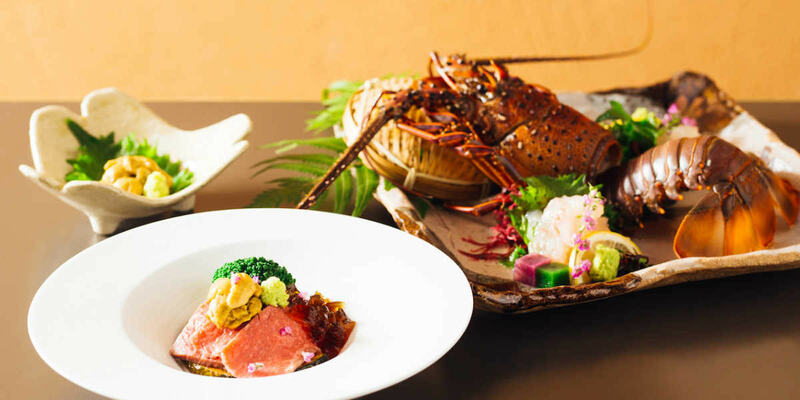 Our tea-ceremony style dishes feature fresh raw, sautéed, grilled, or broiled seafood. 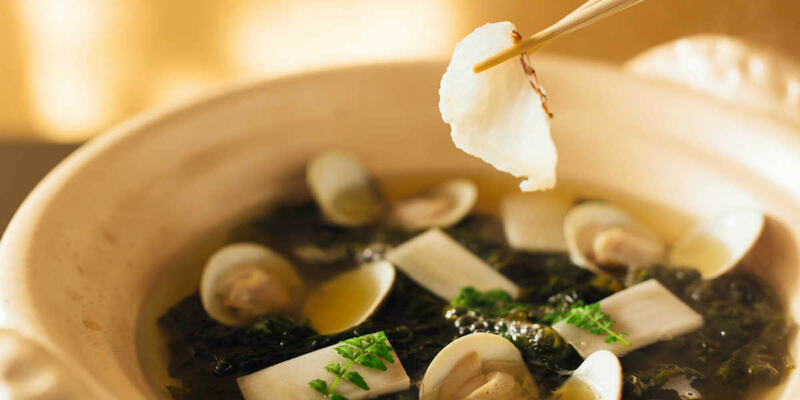 In the morning, we serve an Amakusa country-style breakfast that includes dried fish, seasoned seaweed, and miso soup. This is actually quite different from a typical Japanese-style breakfast. We strive to match our meals to your individual desires. Please inform us about your food restrictions and preferences when you make your reservation. Dinner and breakfast are served in a private room at the restaurant, so that our guests can dine undisturbed. Should you prefer to dine in your own villa, you should make a reservation for one of the Villas B.